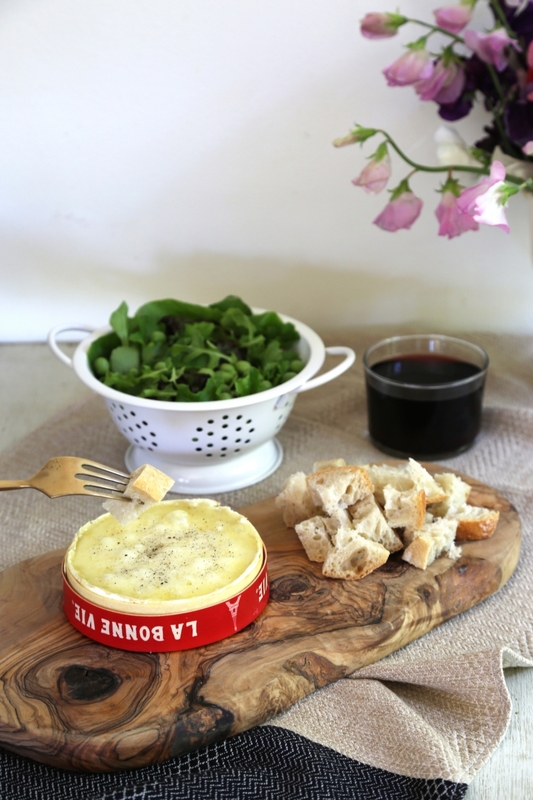 No fondue pot required for this easy brie-zy recipe! All you need is one beautiful wheel of Brie (or Camembert) that comes in a wooden box, and an oven. 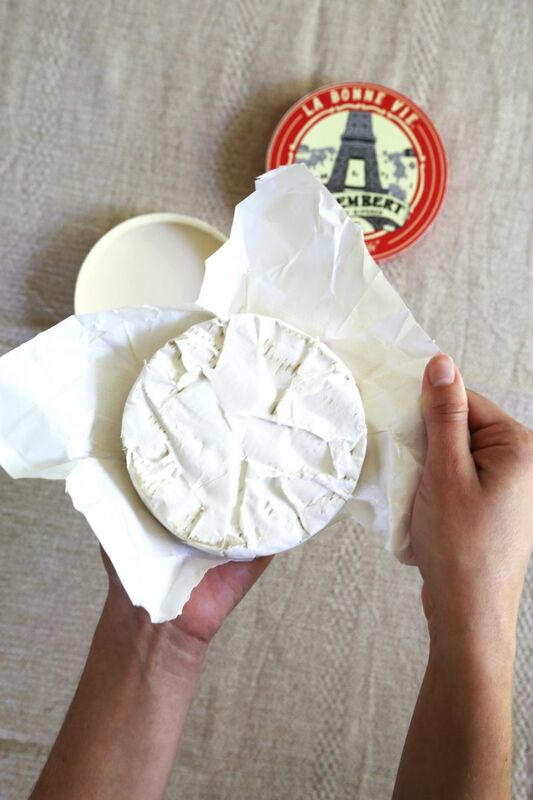 Both Brie and Camembert are soft-ripened, bloomy rind, cow’s milk cheeses with similar tasting notes—creamy, earthy, mushroomy—so choose the cheese of your preference for this recipe. La Bonne Vie is a great choice and is found at most grocery stores nationwide. Serve alongside a rustic baguette, a glass of wine, and your favorite mixed greens salad. Bon Appétit! Preheat oven to 300°F. Remove the cheese from it’s wooden box and plastic wrapper. Cut the top rind off, discard. Generously sprinkle salt and pepper on the exposed creamy interiors. Nest the lids together and place in lukewarm water for 10 minutes, until the top label peels off. Meanwhile: slice the baguette into bite-size pieces, toss together a small salad, pour a glass of wine, and line a tray with parchment paper. Remove the nested lids from the bath, shake off any excess water (the wooden box will be damp), and place the wheel of cheese back into the wooden box with the creamy side facing up. Place onto the parchment-lined tray and pop it in the oven until melted, about 5-10 minutes. Remove from the oven once the cheese is melted and bubbling at the surface. Serve immediately!